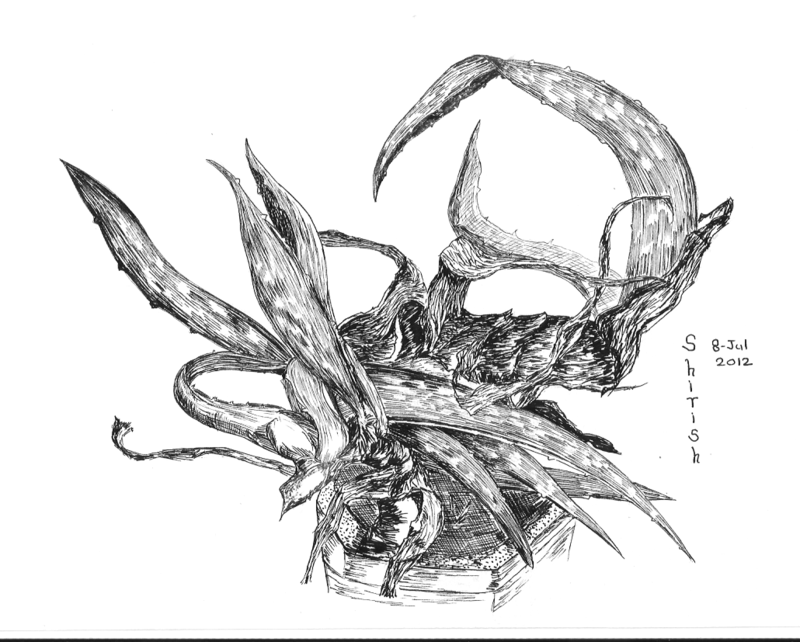 Drew this aloe vera plant in my terrace garden using Pigma Micron Pigment pens sizes 0.2, 0.5 and 0.8. The alo vera plan is a very interesting combination of very dry base and very fresh and juicy leaves. This presents a great opportunity of varying textures in a single picture.